A team of around 20 people from Ward Hadaway's Newcastle office stepped up to the challenge of a sponsored walk to help vulnerable people gain access to legal support. Lawyers, support staff and family and friends joined together with more than 200 other people for the annual 10K Newcastle Legal Walk on Tuesday, May 15th around the city. The event was organised by the North East Legal Support Trust, which helps the poorest and most vulnerable people in the UK gain access to free legal advice. Michelle Fleming, a member of the North East Legal Support Trust committee and solicitor in Ward Hadaway’s Commercial team, said: “The North East walk not only helps us raise money for those who need it most, it also raises awareness of what the Trust does. Paige Lewis, a trainee solicitor in Ward Hadaway’s Commercial Litigation team helped recruit walkers from the firm. The event is one of a number of walks which run annually across England and Wales. 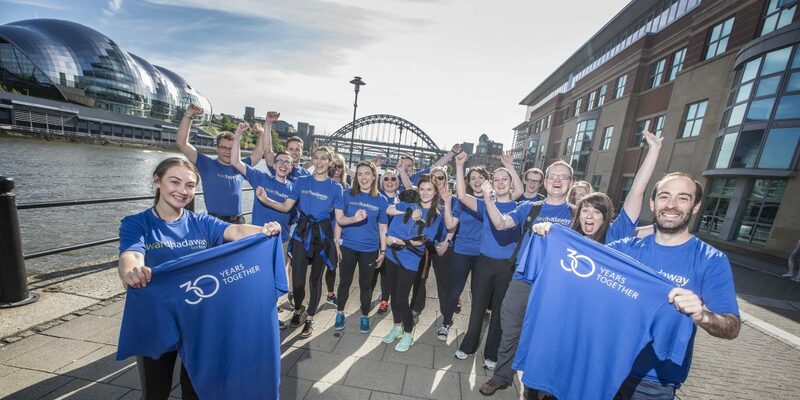 Martin Hulls, Managing Partner of Ward Hadaway, said: “The Newcastle Legal Walk is an excellent event for all law firms to come together and take part in and give something back to the communities we serve. “We are delighted to support the great work of the North East Legal Support Trust as we celebrate our 30th anniversary firm-wide, with a decade in Leeds and six years in Manchester. The firm’s efforts come on the back of its involvement in the annual Great Legal Bake earlier this year when the team raised hundreds of pounds for the Legal Support Trust across its three offices in Newcastle, Manchester and Leeds. "It's heart-warming that so many people from Ward Hadaway decided to take part in the event this year and it demonstrates just how we can make a difference in the community."